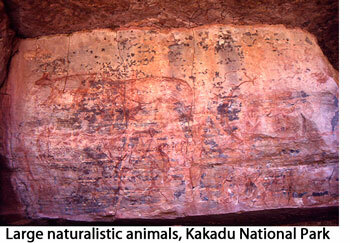 AUSTRALIA'S priceless Aboriginal rock art sites may be decimated within the next fifty years. That is the view of Griffith University's first Chair of the Aboriginal Rock Art Research Centre, Professor Paul Tacon, who is widely acknowledged as one of the world's leading experts on the subject. 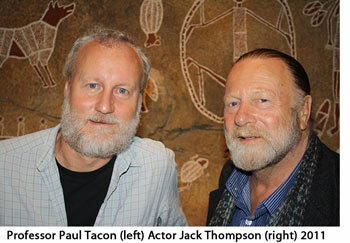 Professor Tacon and passionate supporter, Australian actor Jack Thompson, launched the campaign "Protect Australia's Spirit" in Sydney on 31 May 2011. The Australian actor first saw Aboriginal rock carvings as a child in Bondi: "I said, 'Holy mackerel, look at that'," said Thompson of his first experience of one of the world's oldest art forms. Prof Tacon is seeking support and funding for a joint initiative of Griffith University, the Australian National University and the University of WA to document and shield the estimated 100,000 rock art sites around Australia. The project would initially identify one hundred of the most significant rock art sites and aims to digitally archive and categorise sites to develop strategies for rock art site management and preservation. The art consists of paintings, drawings, engravings, stencils and figures, ranging in age from tens of thousands of years to images made in the late 1900s, found on boulders, platforms and in rock shelters and caves around Australia. Professor Tacon is concerned that without intervention, proper management and conservation, fifty percent of these priceless ancient galleries will disappear within the next fifty years. Commenting on the lack of an existing national register and management strategy, Professor Tacon said Australia was "way behind other countries like China, South Africa, France, India and Spain in managing rock art heritage .... and this needs to be addressed as a matter of urgency"
The campaign has been embraced by the media with Professor Tacon and Mr Thompson receiving widespread media coverage. In an ABC interview with David Mark, Professor Tacon identified a wide range of threats to Australian Aboriginal rock art sites: "Of course, industrial development is a major source of impact, housing developments have impacted in the past, vandalism is a major problem, graffiti occurs rights across the country and it's mainly through lack of awareness, people don't realise this stuff is important". Professor Tacon has made key archaeological discoveries in western Arnhem Land (NT) and Wollemi National Park (NSW) that have been published in journals and also have made world headlines. 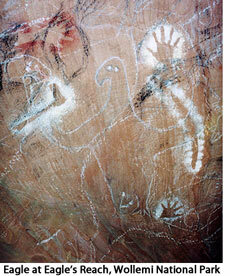 This includes not only the origins of the Rainbow Serpent (1996) but also the earliest evidence of warfare in the world (1994), significant new Arnhem Land Rock Art sites (1995, 2008), outstanding rock art discoveries in Wollemi National Park, 129km northwest of Sydney in the Blue Mountains (2003, 2006) and the oldest images of southeast Asian watercraft in Australia (2010).